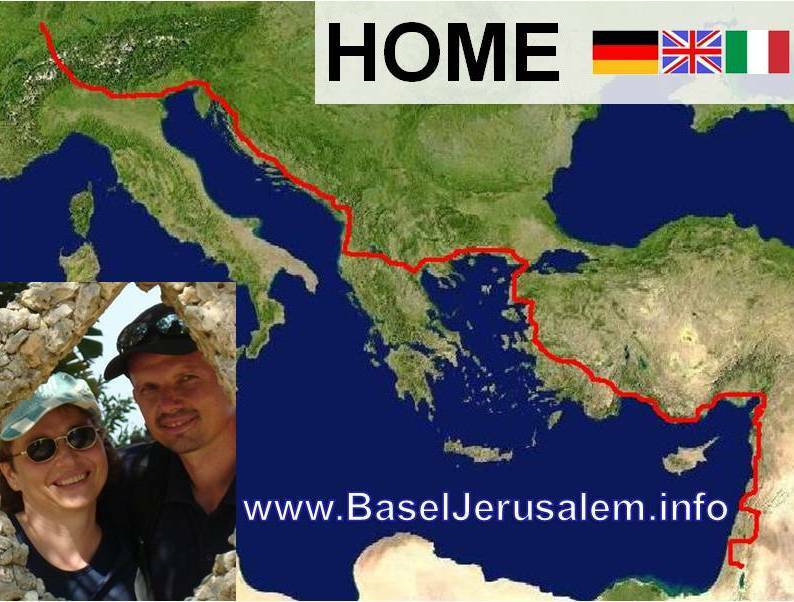 Hanspeter and Annemarie Obrist will hike by foot as a couple from Basel to Jerusalem starting mid-August 2010. Our motto is: Encounters on the way to Jerusalem. We will be visiting biblical places on our way and will share our experiences and photos on this website. A man travelling visited a Rabbi who had only a table and a bench. The man asked: „Rabbi, where is your furniture?“ “Where is yours?“ the Rabbi asked him back. The man said: „I’m only travelling“. „So am I“ answered the Rabbi. As follower of Jesus we are not from this world, but in this world (John 17.16-18). It is not important what I own, but where I’m going – to the heavenly Jerusalem. This entry was posted on	May 19, 2010 at 8:21 am	and is filed under Annemarie, Hanspeter, Obrist, Uncategorized.